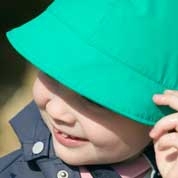 Raindrops' award winning kids waterproofs are guaranteed to keep your child dry and warm. Our waterproofs are perfect for adventurous children who love the rain and just want to play! Our rainwear is 100% waterproof, breathable and machine washable. 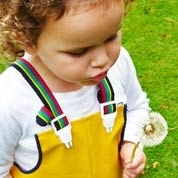 The high quality outdoor clothing is soft on the skin and expertly designed in Scandinavia to fit kids perfectly. Never let rain stop play!